Lemax Ready To Launch Table Accent animated & lit to depict joyful children sledging down a makeshift 'sidewinder' snow slope in Winter. A delightful battery operated miniature Lemax table piece to compliment your miniature Winter village display. 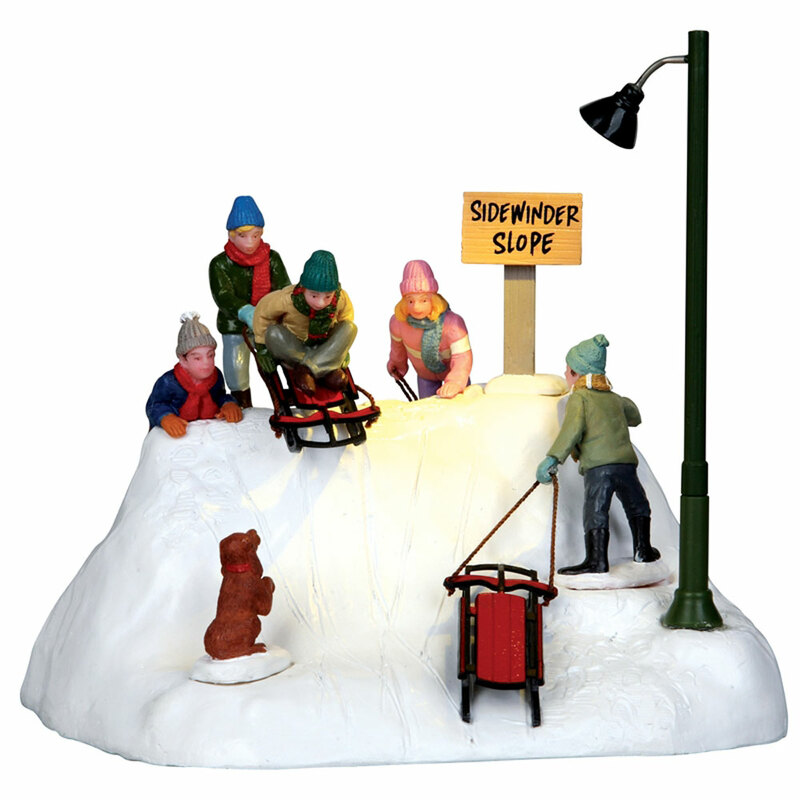 The spotlit scene includes multi figurines on a snowed platform with an animated boy awaiting to descend the slopes on his sledge rocking back and forwards, whilst a moving playmate awaits release off the sledge from behind. Scaled and themed for placement in and amongst your Lemax Village scene to add movement to a Winter setting. The multi figurine scene is placed on a single individual snowed base and two figurines move in sequence. Battery operated as standard, powered by an internal battery compartment underneath, however, this table accent is also AC mains adaptable. Ready To Launch is a popular addition to the range, joining the growing Lemax Vail Village themed collection in 2011.